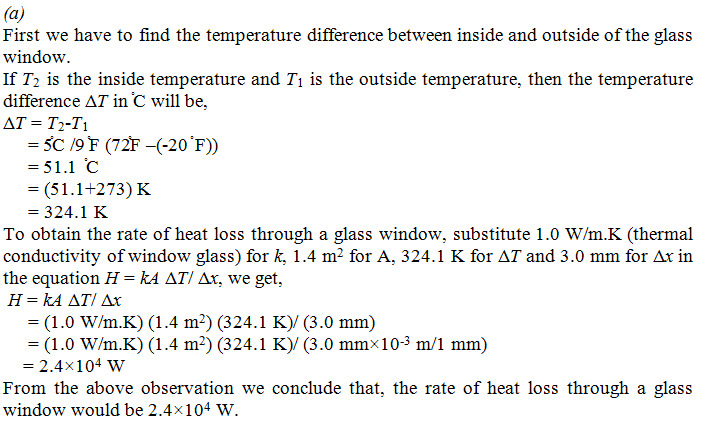 (a) Calculate the rate of heat loss through a glass window of area 1.4 m2 and thickness 3.0 mm if the outside temperature is – 20ºF and the inside temperature is +72ºF. (b) A strom window is installed having the same thickness of glass but with an air gap of    7.5 cm between the two window. 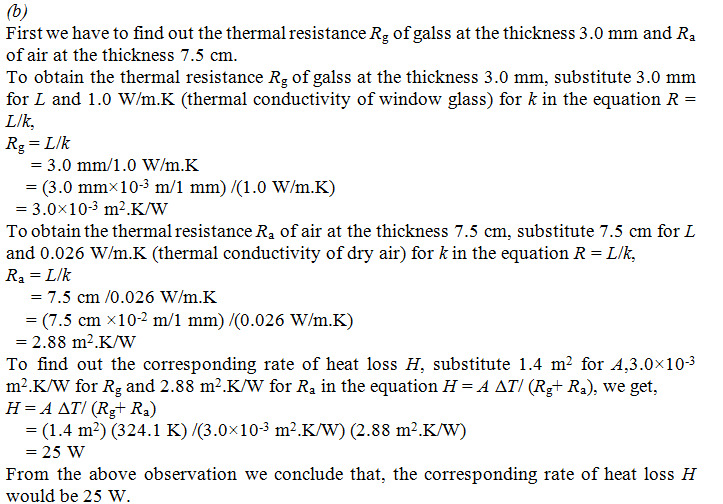 What will be the corresponding rate of heat loss presuming that conduction is the only important heat-loss mechanism?